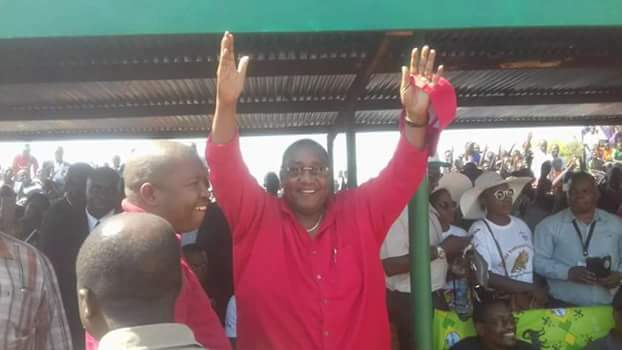 ‘We wish to refute in strongest terms a letter circulating on social media purporting that the UPND has suspended it party Vice President, Dr Geoffrey Bwalya Mwamba (GBM). We wish to state in no uncertain terms that at no time has our Party Secretary General, Stephen Katuka issued a suspension letter to Dr Mwamba. Therefore, we wish to appeal to all well meaning Zambians and the general party membership to treat the said letter with the contempt it deserves. We know that the said letter is a ploy to divert attention from the sad, painful and bitter victory in the Roan parliamentary by-election to trivial matters that have no basis at all. Finally, we are aware that the said letter is a fabrication by the desperate enemies of progress who are bent on destroying, distabilizing and disintegrating the UPND and its leadership. I wish to appeal to our members to remain united, loyal and focused amidst the widespread and artificial lies by the enemies of democracy. Unlike PF, UPND has a serious agenda of building a better Zambia. I wish to state this again. Get rid of GBM. Never leave an enemy behind. He has joined PF. If you leave now you will regret. He will cause serious division such that you will not have enough time to recover. Let him chew his USD50million elsewhere.